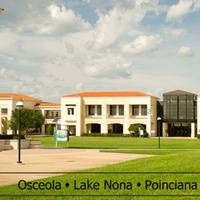 You’re invited to be a part of selecting our new campus president of the Osceola, Lake Nona and Poinciana Campuses. This month, you will hear from each of our three finalists for this important role during forums open to all Valencia faculty, staff and students. Join us and learn about the candidates either in person on Osceola Campus or via live stream. To view the live stream, click here.